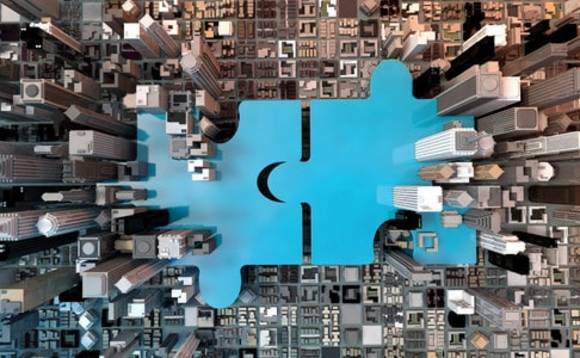 Mergers and acquisitions within the asset management industry surged to a record high in 2018, as rising costs, weak investor inflows and intense competitive fuelled deals. According to New York investment bank Sandler O'Neill, asset management deals rose to 253 last year, up from 210 in 2017 and surging past the previous record of 243 in 2007, breaking an 11-year record. Last year's single biggest deal was Invesco's $5.7bn acquisition of OppenheimerFunds from MassMutual, the US insurer. Asset managers buying competitors was the biggest driver of consolidation while multiple banks, brokers and insurers also used deals to strengthen their investment capabilities. Buyers remain willing to pay higher valuations for specialists with a demonstrated history of asset growth and strong investment performance"
Sandler estimated that the disclosed value of asset management M&A activity rose 29% to $27.1bn, the highest since the $51.6bn record in 2007, as the FT reports. The report said substantial increases in acquisitions on both ends of the AUM spectrum pushed up 2018 transaction activity. On the larger end, acquisitions of firms with over $25bn in AUM grew from 17 deals to 28 in 2018 while on the lower end, asset managers with less than $1bn in AUM were involved in 96 deals last year compared to 67 in 2017.US firms were involved with the majority of deal activity last year, representing 61% of acquisitions, while Europe (ex-UK) accounted for 14% of activity and the UK was third with 12%. Aaron Dorr, a principal at Sandler, said that the need to reduce costs and to shrink overcapacity in a "crowded market" would lead to more consolidation, gradually reshaping the industry. "Buyers remain willing to pay higher valuations for specialists with a demonstrated history of asset growth and strong investment performance," he said. However, giving its outlook for M&A activity for this year, the report predicted there to be "heightened selectivity" if the market volatility seen at the end of 2018 continued into this year.